COACH unveiled the ad campaign to accompany the brand’s first-ever Women’s Pre-Fall 2016 offering for Coach 1941, the signature collection of ready-to-wear and bags designed by Executive Creative Director Stuart Vevers and launched at their September 2015 show in New York City. The images combine a spirit of individuality with the attitude of New York City. This latest collection was photographed by Steven Meisel, art-directed by Baron & Baron and styled by Karl Templer. Shot on location in Red Hook, a historical section of Brooklyn with a cinematic, industrial feel and panoramic views of New York, the pictures evoke the modern interpretation of the classic American aesthetic that has become one of the brand’s hallmarks as Coach transforms to a compelling lifestyle brand. Campaign stars Lexi Boling, Rianne van Rompaey, and Imaan Hammam are expressively captured in a classic American muscle car wearing stand-out pieces from the collection, which combines the themes of vintage Americana, the outdoors and the leather craft and expertise on which the brand has built its history for 75 years. 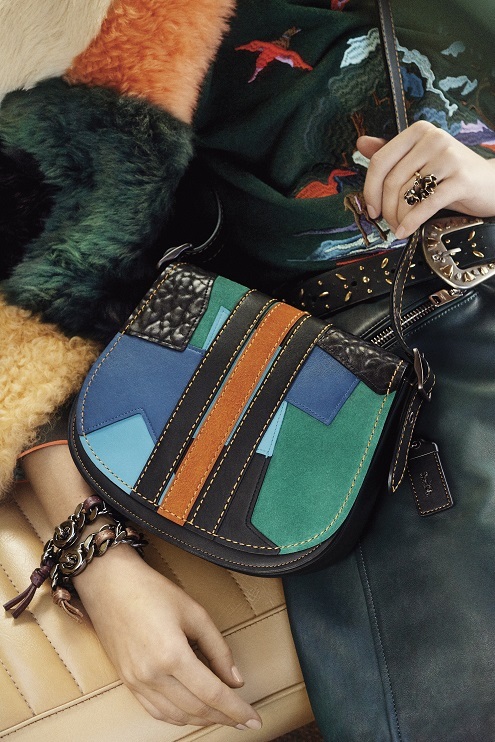 The campaign also marks the print debut of the latest Coach 1941 statement handbag, The Rogue. Coach’s latest best-seller is destined to become a beloved classic with spacious dimensions and carefully considered details, like suede-lined outer compartments. Luggage-inspired handles, a “Kisslock” inner pocket, metal-fitted hangtag and prominent topstitching are all playful references to Coach’s history and codes. First rendered in pebble leather for Spring, The Rogue is reimagined this season in materials like printed haircalf, patchwork leather and suede. Embellishments like floral applique and rivets convey a Modern Luxury, while two new sizes – the Mini 25 and Maxi 36 join the Midi to offer more options for work or play. These offerings speak to the artistry of leather craft synonymous with Coach with great style.